They’re not all the same because the lad who’s building the plotter got to turn out his own bushings. 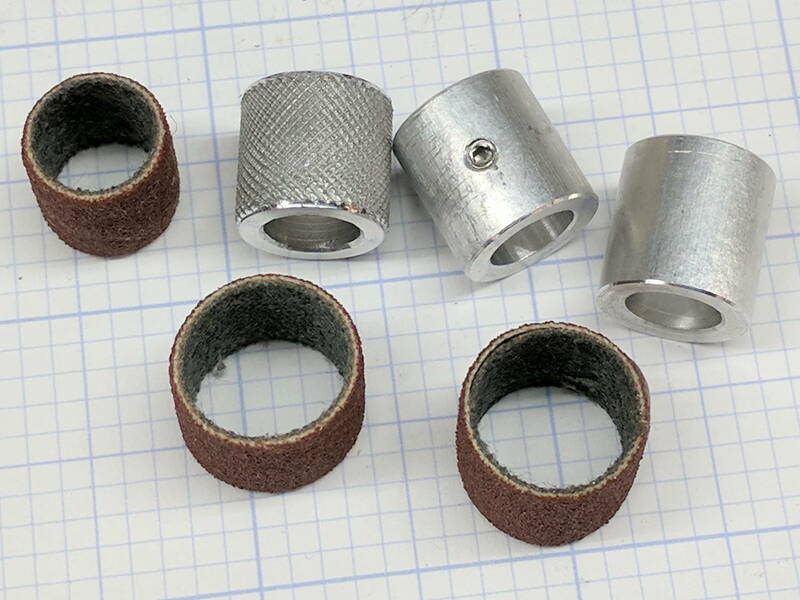 We think the knurled version, with a setscrew to lock it on the shaft, will work better than adhesive-bonding the drum to the bushing. 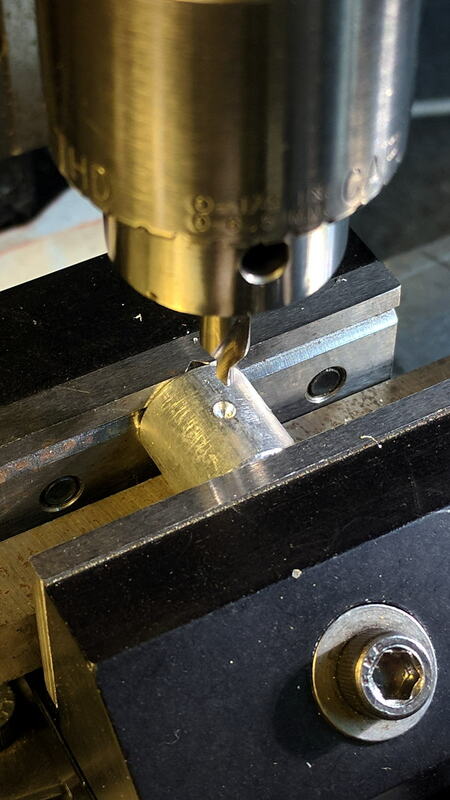 The skim cut makes the aluminum rod a loose fit inside the sanding band, but the knurling enlarges the diameter enough to make it a firm press fit and I think it’ll have enough traction to stay in place. 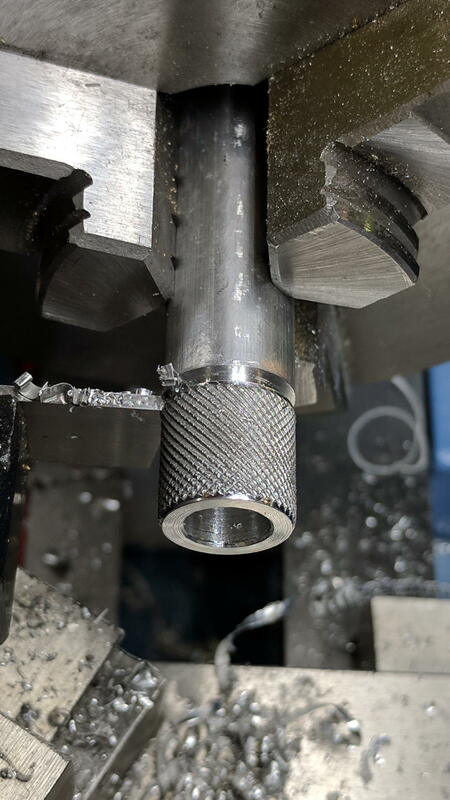 FWIW, the wheels in the LittleMachineShop knurling tool seem pretty bad: the central holes aren’t quite concentric with the cutting edge, the bores are a loose fit on the mounting screws, the wheels are much narrower than the slots they ride in, so they wobble uncontrollably. It’s not a fatal flaw, but they definitely produce a sub-par knurl. Clean out the chips, debur the hole, install the setscrew, and you’re half-done: do it again to get the second drive roller! This entry was posted on 2017-10-19, 07:22 and is filed under Machine Shop. You can follow any responses to this entry through RSS 2.0. Both comments and pings are currently closed. If these grit wheels give you grief, practically every copier and large-ish laser printer have one of them in a form of 8″ or longer rod… heck I have at least a few in my junk part bins. I’d send one your way, but I suspect shipping would amount to the price of a used working printer over there. They’ve been kicking themselves for discarding what looked like useless parts from the printers they dismantled to get those rods & motors! I’ve had a few jobs like this, and where practical, I’ll try to set up the stock so I can knurl both bits at the same time. 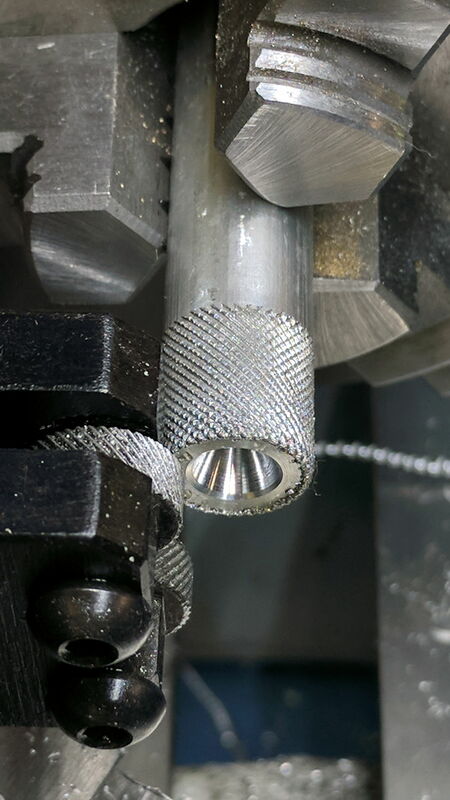 (Knurling is a problem with my current setup; I need to upgrade the toolpost.) 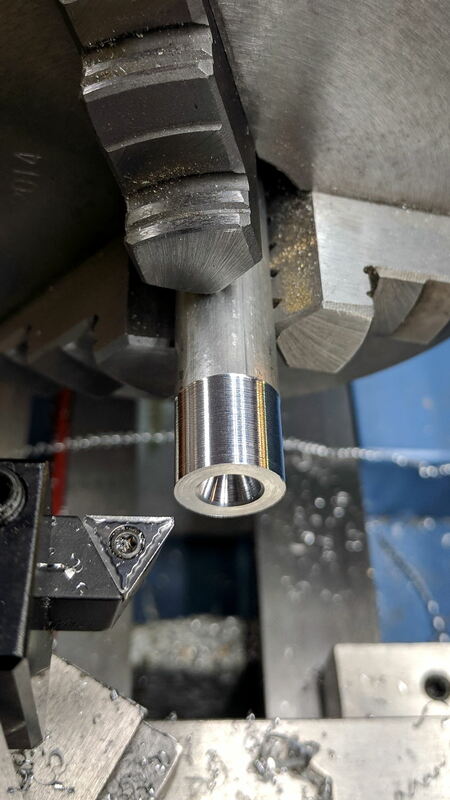 Haven’t used my Taig this century, but I think the microlathe tooling would let both wheels be done together. Aye! Those first three bushings happened as part of the tailstock tweakage: having them (mostly) fit was a happy coincidence. 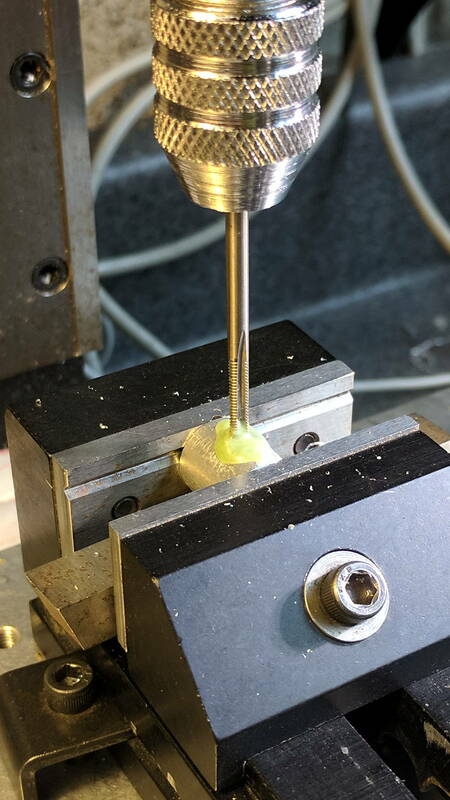 Having him make one more knurled bushing kept the focus on the process, rather than production. I think we won’t need any more, but ya never know. I’m tempted to remove a few mils from the tailstock’s upper casting to see if its aiming improves, but it’s pretty close as-is. I vaguely recall an HP (?) writeup saying the grit pattern embossed itself into the paper on the first dramatic full-length in-and-out sweep when you load the paper, then the points drag the paper into back into alignment on subsequent motions. The knurl might be too regular, with not enough nubbly points to grab the paper. Fer shure, the crappy knurl you see there isn’t up to the task! Yep, the random grit pattern helped to keep the paper from slipping. We used the E-sheet (Elephant) plotter in the HP-OCD layout area. Getting it at transfer cost made it very attractive, too, but it was worlds better than the roll media CalComp plotter it replaced.